Woodend has entered the race to 100 percent renewable energy with a 30-kilowatt community-owned solar project. The solar system atop the Black Forest Timbre Mill is an initiative of the Macedon Ranges Sustainability Group who are keenly aware of the 100 percent renewable push occuring in Newstead and Yackandandah. The clean electricity from the solar system will power local artisans and craft businesses operating on site. And profits will go towards a perpetual Renewable Energy Fund that will invest in more renewable energy installations across the Macedon Ranges region. The Andrews government supported the community-solar project with a $100,000 grant. Victorian Minister for Energy Lily D’Ambrosio and Mary-Anne Thomas MP attended the Woodend Sustainable Living Festival for a “switch on” ceremony at the . The Andrews government’s support for community-owned renewable energy projects shows it’s gearing up to set ambitious Victorian Renewable Energy Targets in its soon-to-be-released Renewable Energy Action Plan. Labor is known for its progressive renewable energy policies in the Macedon Ranges. Repealing the worst aspects of the Baillieu/Napthine anti-wind farm laws will allow a community-owned wind farm project to proceed in Woodend. Premier Andrews can build on these positive first steps by setting ambitious Victorian Renewable Energy Targets for 2020 and 2025. In September, the Premier announced a baseline Victorian Renewable Energy Target of at least 20 per cent by 2020, but pledged to aim higher. 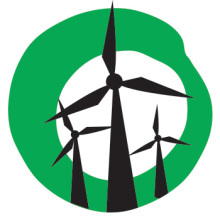 Friends of the Earth research shows there are enough shovel-ready wind farms and active communities to smash the baseline target of 20 per cent renewable by 2020. An ambitious Victorian Renewable Energy Target of 30 percent by 2020 will create jobs in the Macedon Ranges. It will benefit local renewable energy businesses such as West Wind and will help get the Woodend community wind farm off the ground. There’s strong community support for the Andrews government to be ambitious with Victorian Renewable Energy Targets. Sign the Petition for Ambition and show your support for a strong Victorian Renewable Energy Target.